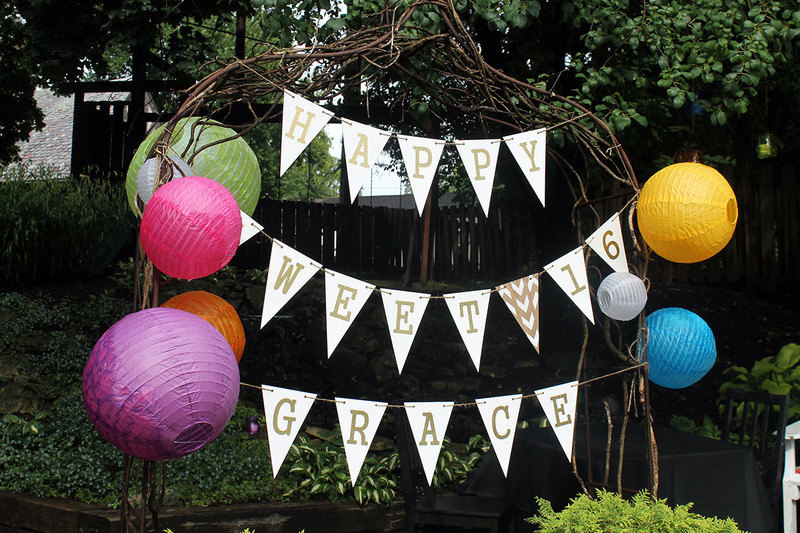 Grace turned 16 years old a few weeks ago, and we couldn’t let the milestone occasion pass without a celebration! 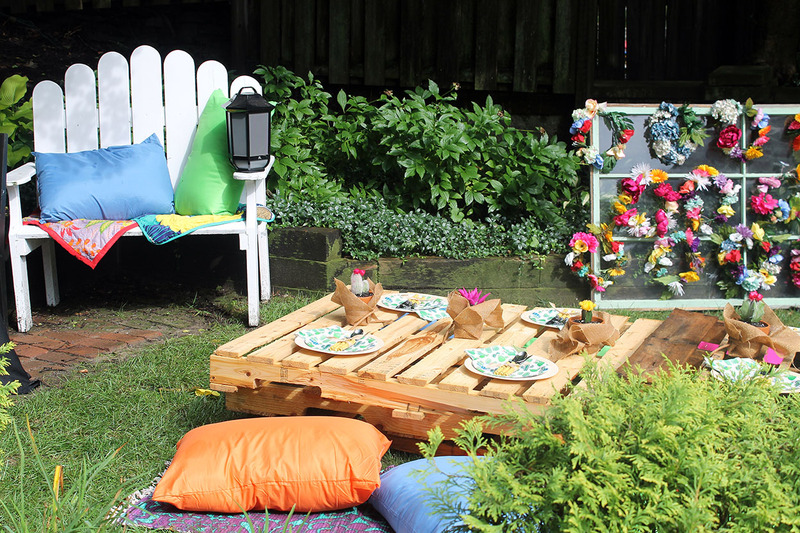 If you know me or have been a reader of my blog for a while, you know I am all about theme parties. 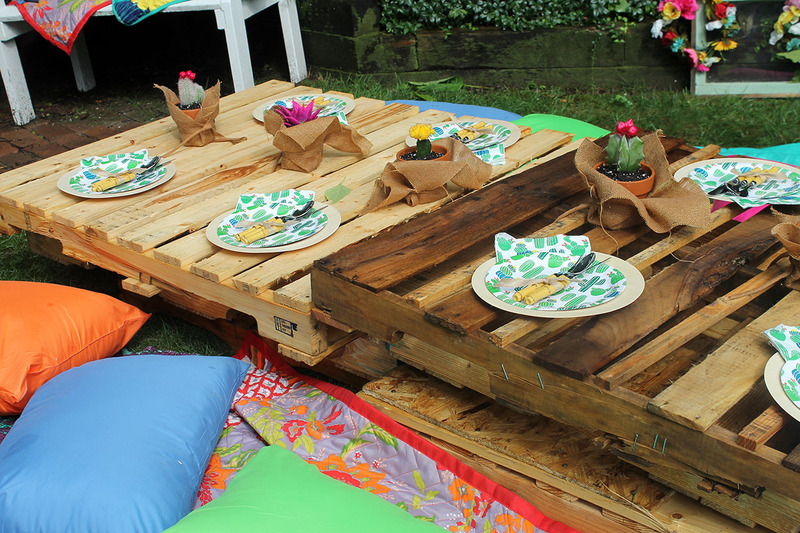 Give me a theme, and ‘a party planning I’ll go!’ Well, Grace isn’t really into themes…she’s more of my eclectic girl. 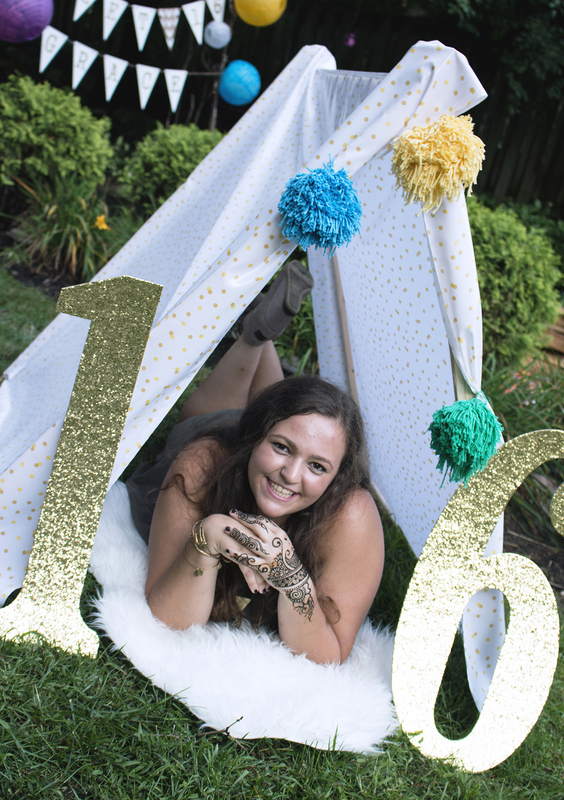 So….this sweet sixteen birthday bash had a bit of everything! 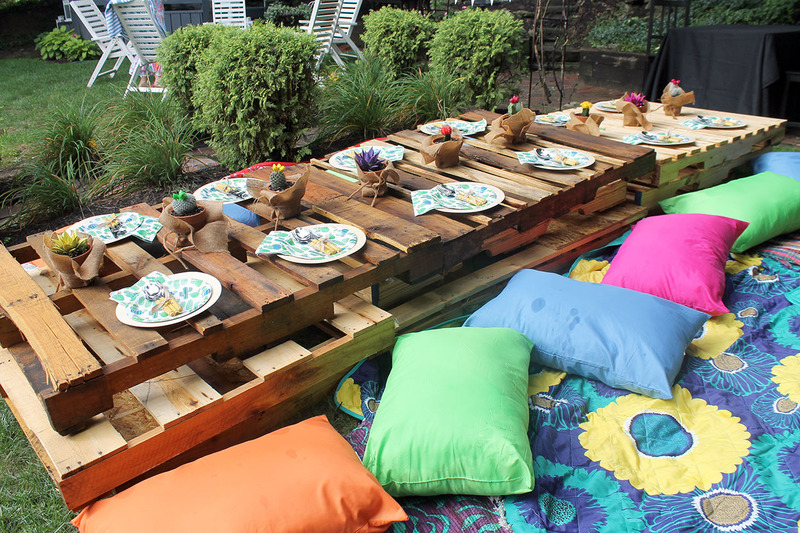 The focal point of the decor was a table that we created out of wood pallets. 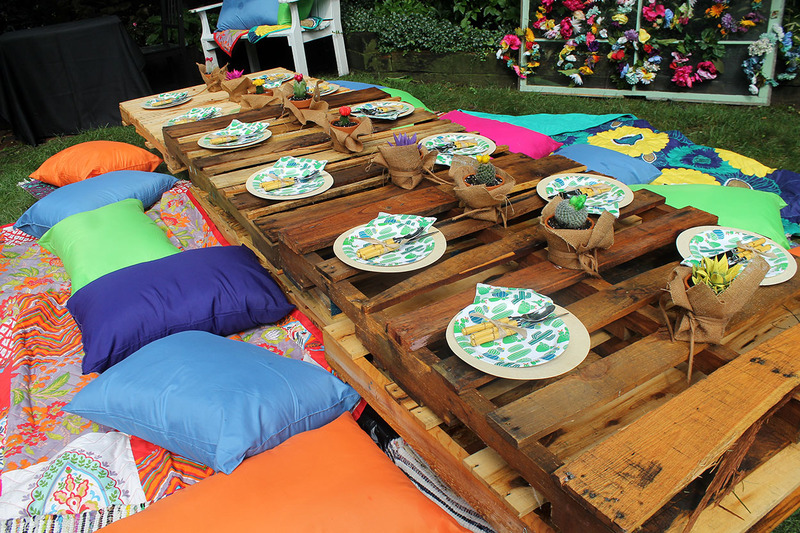 Colorful blankets, rugs, and pillows provided lots of comfy seating on the ground for the guests. 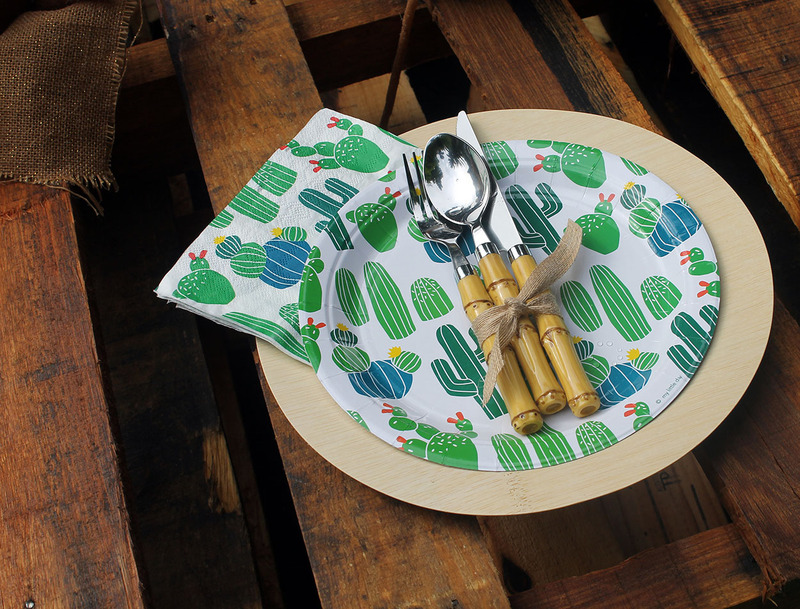 Grace loves cacti, so we found these cacti plates and napkins that we layered over bamboo plates as place settings for each of the girls. Bamboo utensils tied together with natural ribbon completed the look. 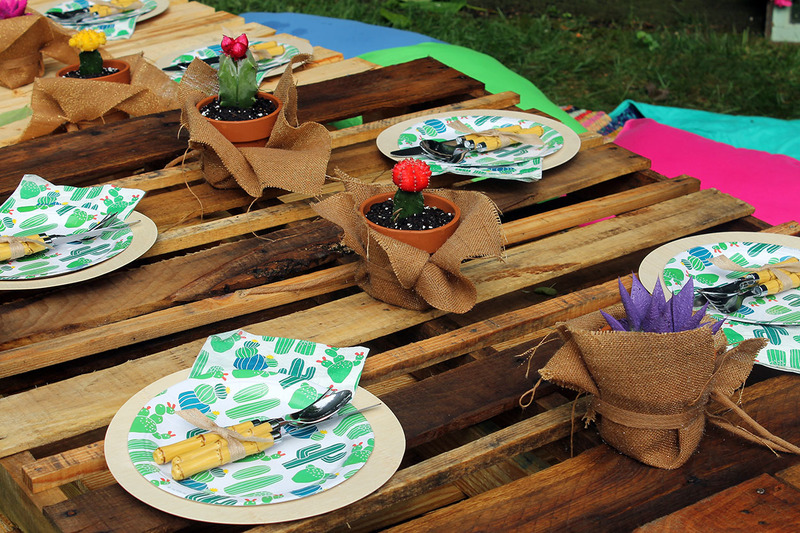 Cacti wrapped in burlap and tied with the same ribbon were placed down the center of the wood pallet table. 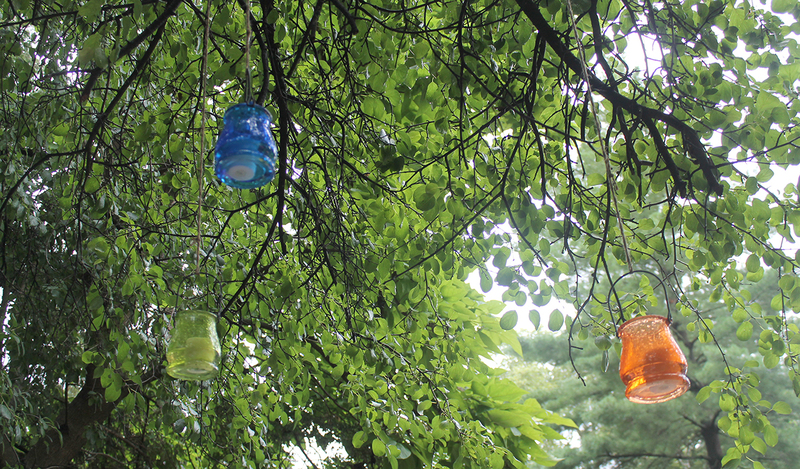 Glass candle votive holders in various colors were hung in the trees above the table. 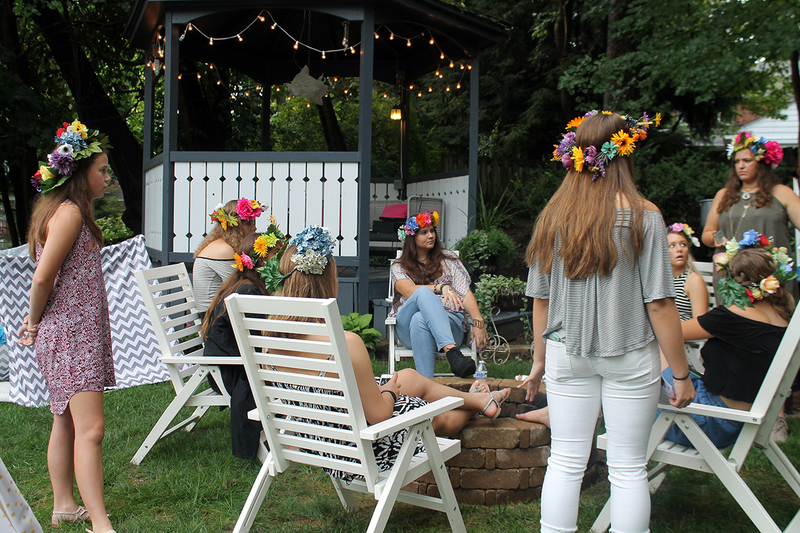 Remember those flower crowns I shared a DIY post about a few weeks ago (click here for the directions)…well, they made an appearance at the party. 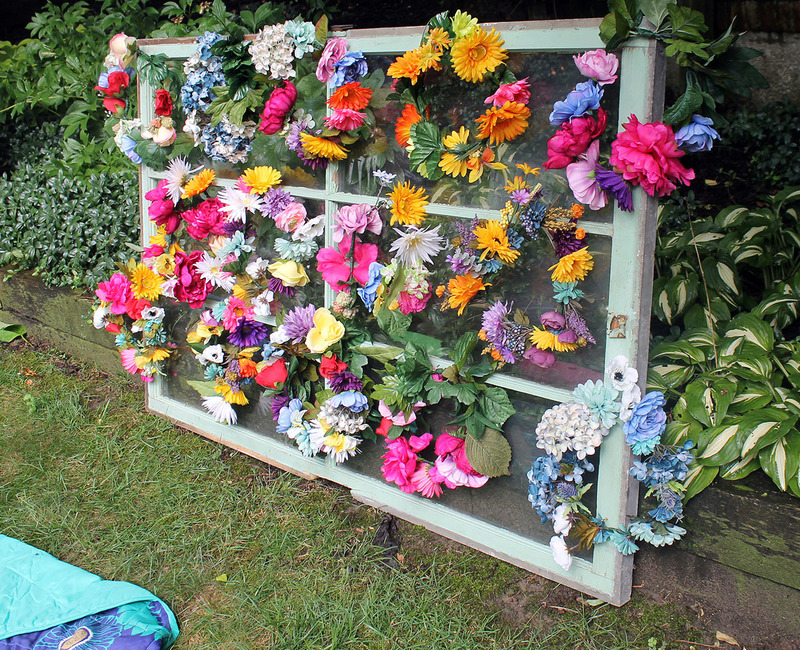 I used an old window frame to hang the flower crowns on until the guests arrived and chose the one they wanted. 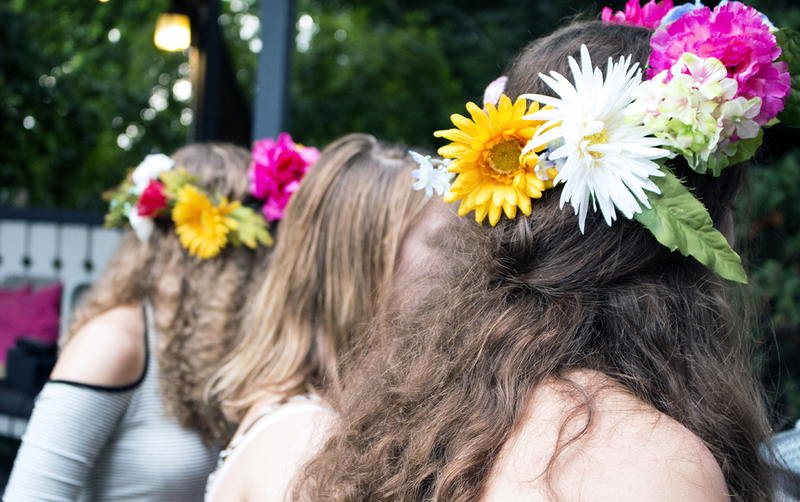 It made a pretty background propped behind the table, even after the flower crowns were removed. The other side of the backyard was more of a “hang out” area for after dinner. There is a fire pit with more seating for late night s’mores making. 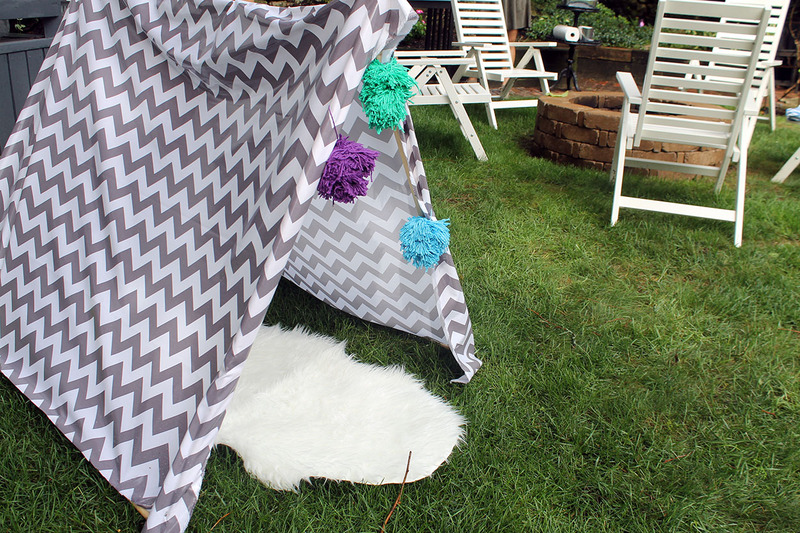 More lounge areas were added to the backyard with these small teepees that I created (well, I did have some help with the construction of these from my husband). 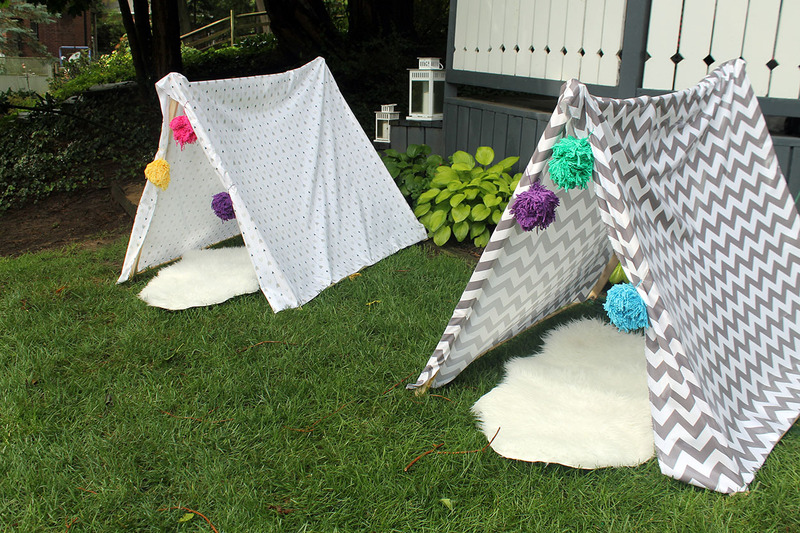 They were perfect for crawling into and watching an outdoor movie once the sun went down. The movie of choice…Sixteen Candles! 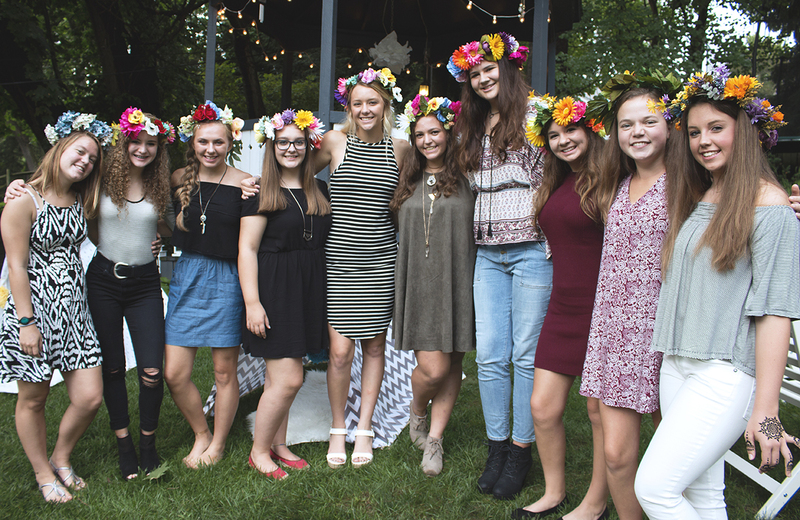 The party decor definitely set the mood for this fun and eclectic celebration for Grace and her friends! But wait there’s more…the food and more activities and entertainment! 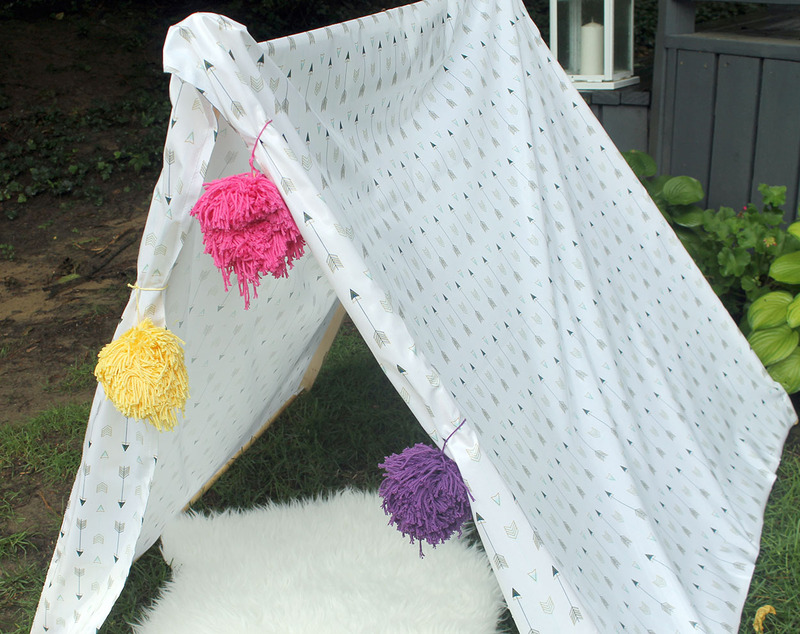 They were so simple to make, too. One of them is now in our basement as a hangout area for Claire. I’m planning to sell the other two at a party prop sale I’m having later this month.